Our thanks goes to Cate Garrison for helping construct most of this branch of the family. Robert was a labourer and widower of Mary ARMSTRONG. 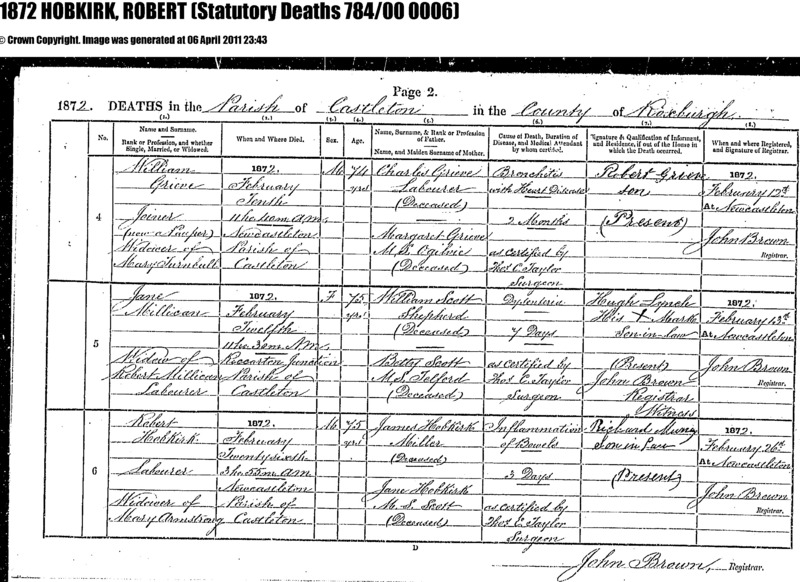 Robert's father was James HOBKIRK, a miller, deceased. Robert's mother is listed as Jane HOBKIRK, nee SCOTT, deceased. The informant was Richard MURRAY, son-in law.